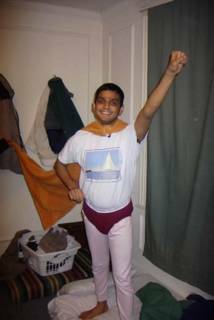 Hemanth as Superman! Found this photo in the archives. What a keeper!! Still remember the night before the Finance exam (or was it Accounts).